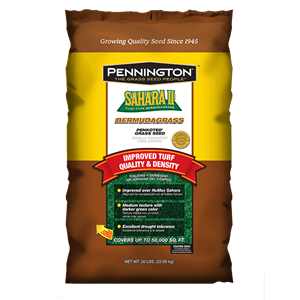 Erosion Control The seed is coated with PENKOATED and is produced by Pennington Seed, Inc.
Sahara II Bermuda grass should be planted on well drained to clay soil with pH range between 5.5 - 8.. 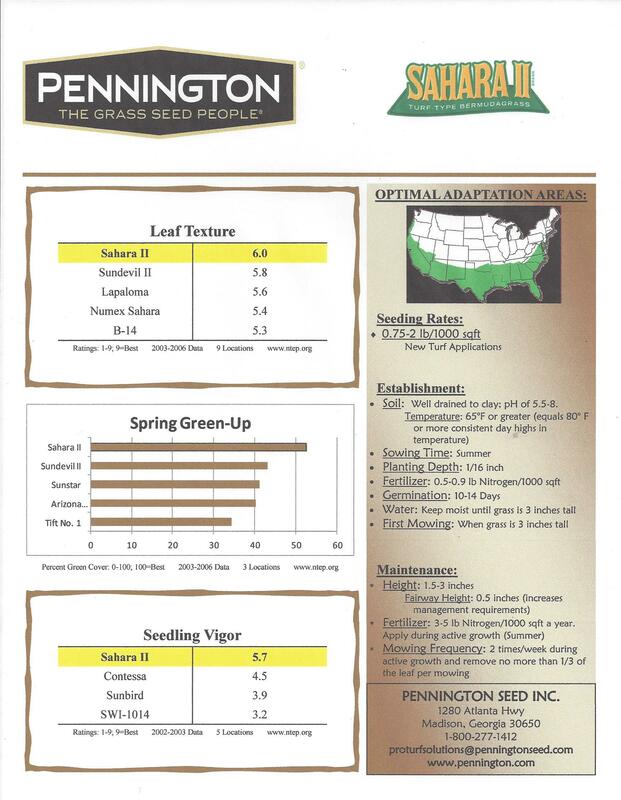 Soil temperatures should be 65F or higher. 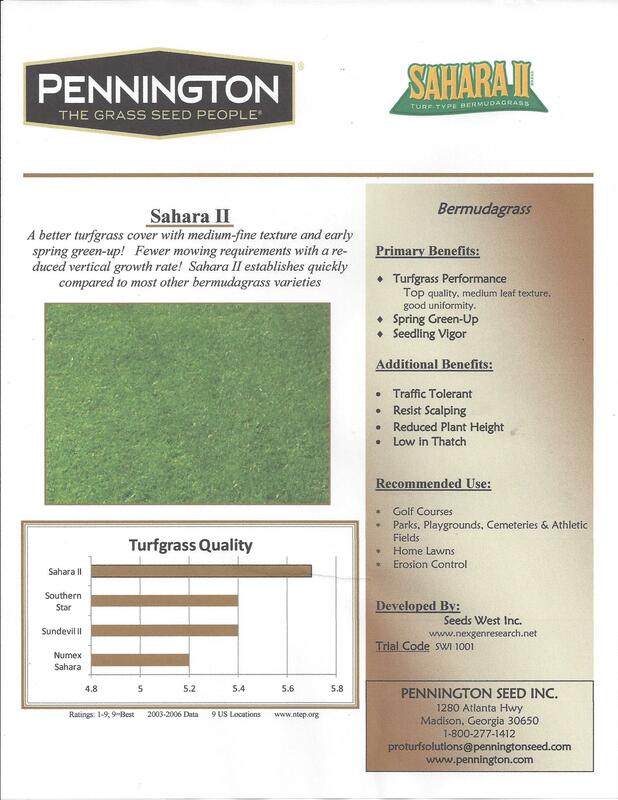 The seeding rate should be 0.75 - 2 Lbs per 1,000 sq. ft. .